Miss Duley and Miss Keaty say Hola from Espana! 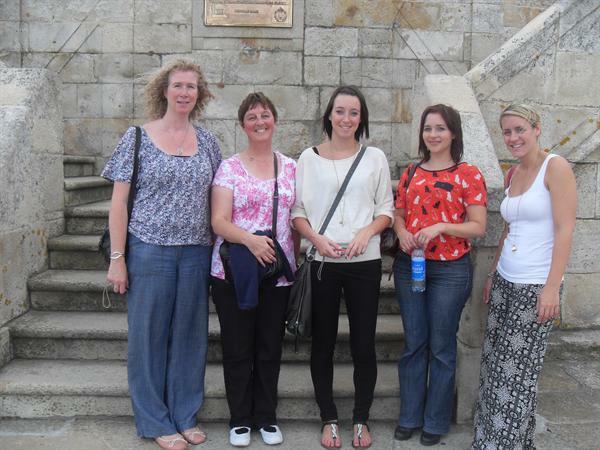 Miss Duley and Miss Keaty are in La Coruna, Spain at the moment working on the Regio Project. This morning they went into the town square - known as Maria Pita, where the Lord Mayor was parading through the towns streets preceeded by a marching band and groups of people dressed in vintage military uniforms. The sun was shinning on the parade as they walked through the cobbled streets of La Coruna. Miss Duley and Miss Keaty have taken lots of photos to show their classes when they arrive back to school on Thursday. They have also visited an old prison and seen a huge passenger ferry in the port. The ferry made them feel like they were back in Plymouth, only that the air was a little warmer!